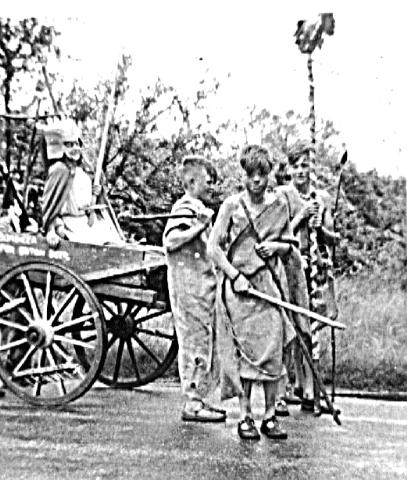 This shows the 1st Stock Scouts entry in the village Coronation parade. Boudicea (in the chariot - trek cart) is Jonny Cottee. The Ancient Brits are David Elliott, Robin Smith and Ben Curtis.